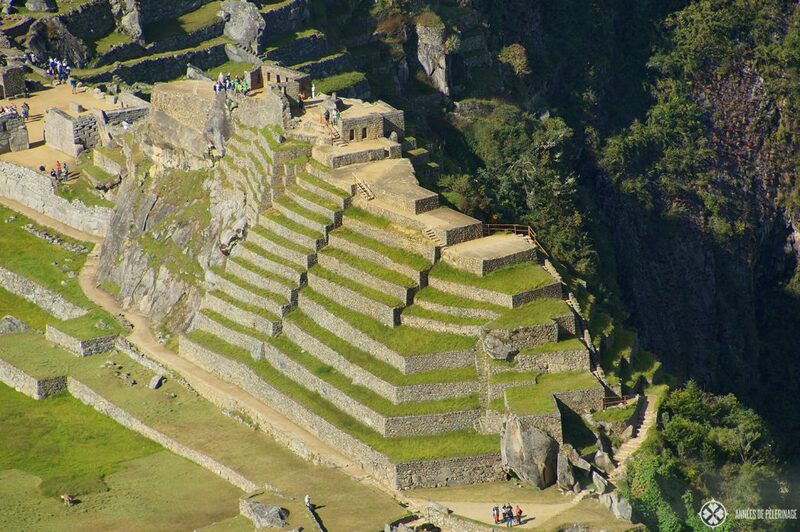 Cheap hotels in Machu Picchu Machu Picchu can be an expensive place. The entrance ticket alone costs 126 Soles (50 US-Dollar). Add the train (another 100 US-Dollar) and you will soon get to realize that the lost citadel of the Incas is anything but an ideal place for budget travelers. And there I didn’t even mention all the special items you might want to pack for Machu Picchu (<< read my guide!). You can save most by getting a cheap hotel in Machu Picchu. Here are your options. If you take a look at booking.com or other hotel booking sites, you will find a multitide of options for staying a night in Machu Picchu. That being said, picking a true hotel or an excellent hostel in Machu Picchu does have its merits. You will spend a lot of time hiking inside the ruins (especially if you arrive by Inca Trail). This means sweating a lot, but also sharing the trail with hundreds of other tourists. So having the opportunity to take a long warm shower, eating a good breakfast, and sleeping in a plush bed will be well worth it. Here are some options for you. Another good and cheap option is the Adelas Hostal. The rooms are quite spacious, the breakfast good and the location very good (very close to the train station). Rooms start around 45 US-Dollar per night. If you are looking for dead-cheap and bunk beds, then you will find heaven in the Casa Machu Picchu. The traditional hostel has over a thousand reviews on booking.com and offers starting from 7 US-Dollar a night in a 4-bed dormitory room. Hostal Angie’s frequently scores the best rankings on booking.com and is booked the most. The charming little hostel is dead cheap but offers the luxury of booking double or twin rooms. There are even family rooms. 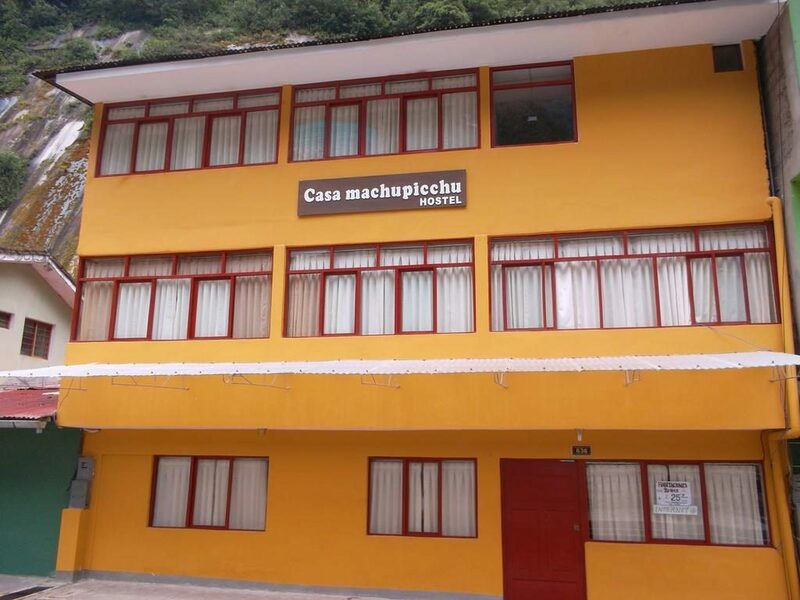 The El Tambo Guesthouse Machu Picchu is another dead cheap alternative for staying in Machu Picchu. Now don’t expect the world for a price around 30-40 US-Dollar per night, but we wouldn’t recommend the hotel, without the more than 1,000 positive reviews it has. 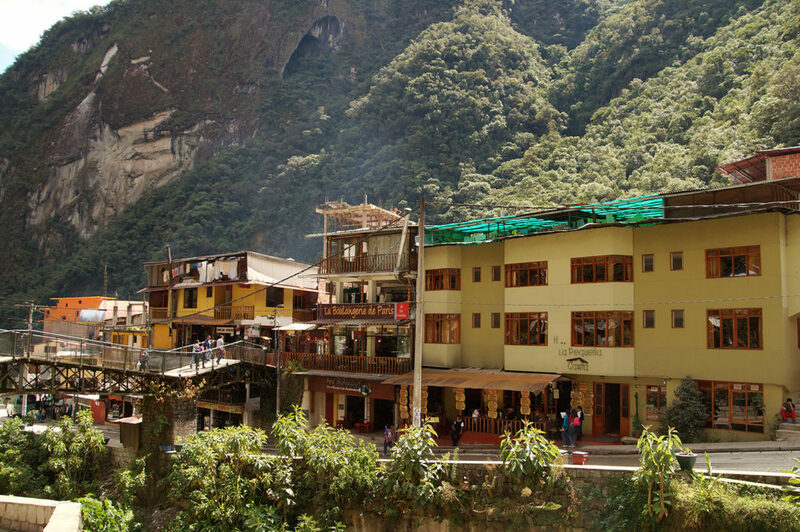 Aguas Calientes is not a big town. In fact, it is somewhat tiny. Still, we wouldn’t recommend picking a hotel too far away from the train station, as it sometimes is not too easy to find your way in the back alleys. Don’t worry if your hotel is close to the train tracks (as most hotels are). First of all Aguas Calientes is little else but a few houses scattered around the train tracks. And secondly, the last train leaves early the evening and will not disturb you. There are some bars and there is the main square, but not much of a nightlife. Most people are just weary from the day’s hike, the high altitude, and humidity, and go to bed early. In essence, that means: pick whatever hotel that suits your budget and looks clean. 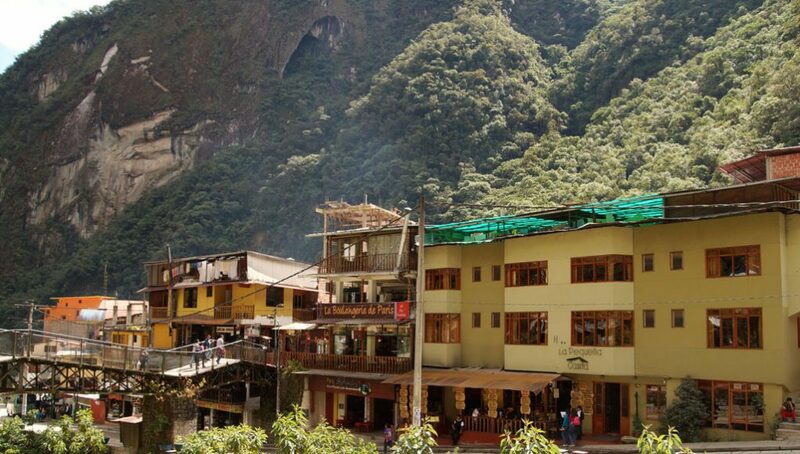 There is so much to explore in Machu Picchu, there are a couple of nice restaurants and bars in Aguas Calientes, and all you will do in your hotel is sleep and shower. That being said, your cheapest and the quietest alternative for staying a night in Machu Picchu is probably the camping site (only around 5 US-Dollar per night & person). 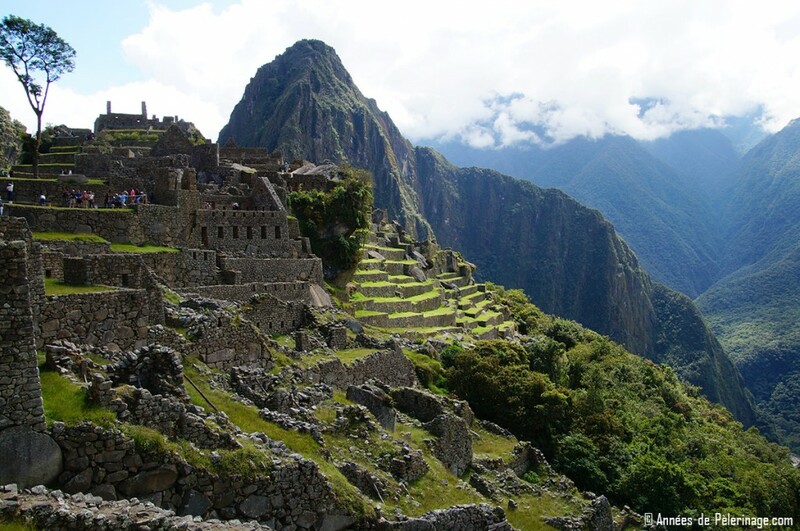 Should I book my hotel in Machu Picchu in advance? Many backpackers shy away from booking hotels in advance. They like that extra bit of flexibility and hate to commit to a set itinerary. Now for large parts of Peru, this might be a valid approach, even if you do have to know that booking on site is in 99 percent of all cases way more expensive than booking online in advance (via booking.com and the like). Actually, this rule applies to almost any transaction, since people are willing to accept less money as a downpayment for a service in the further since they can actually use the money right now (this is why loans actually cost money). That being said, it is always recommended to book your hotels for Machu Picchu way in advance to score a cheap price. As for lost flexibility: You will have to book your tickets, train tickets, and/or Inca trail tickets months in advance anyhow. 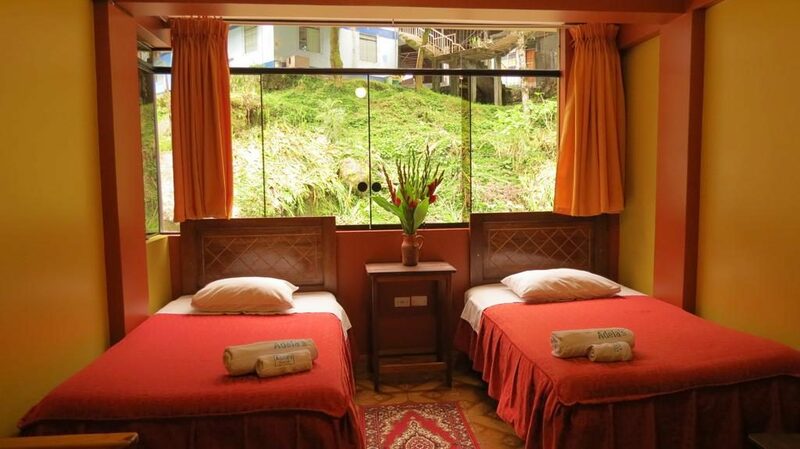 So there really is no reason whatsoever to waste precious time erring around Aguas Calientes looking for a free room (which can be hard, as the town is usually packed during the summer months). Disclaimer: I had no association with the hotels features in this article whatsoever when writing this review. My opinions are my own. You are very welcome Lewis!